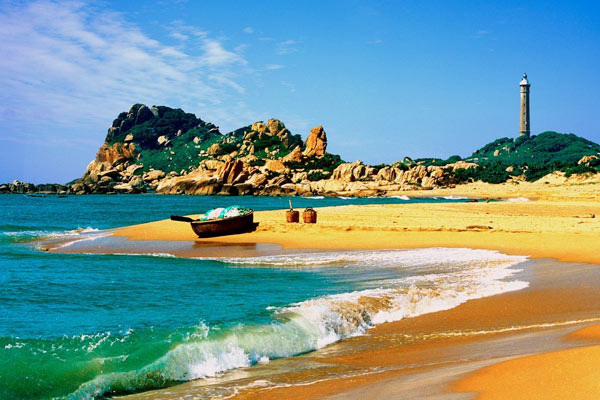 Phan Thiet is a great destination for tourists. Here the convergence of hotels and resorts in Vietnam, such as: Victoria Phan Thiet, Beach Resort and Spa, Phu Hai Resort ... Phan Thiet is also known for its wide airy sandy beaches with beautiful lines of coconut trees, sunny and warm all year round. This is an ideal getaway for travellers. The best means of transport to go to Da Lat and Phan Thiet is high quality car with bed or sofa. The ticket price of some routes are as follows: Saigon - Dalat route which is about 306 km costs from 8$ to 12$ /ticket; Saigon - Phan Thiet route, about 208 km, costs from 4$ to 10$ / ticket; the route Dalat - Phan Thiet, about 198 km, costs from 5$ to 8$/ ticket. If you travel by private vehicles (motorbike, car), you can come to Phan Thiet from Da Lat by driving along the new way of Di Linh (Lam Dong province) to Luong Son (Binh Thuan), passing Dai Ninh hydropower plant. If you want to shorten the time of travel, you can travel straightly from Saigon to Phan Thiet by train with the ticket of from 8$ or by plane to Dalat with fare of from 26$/ ticket. 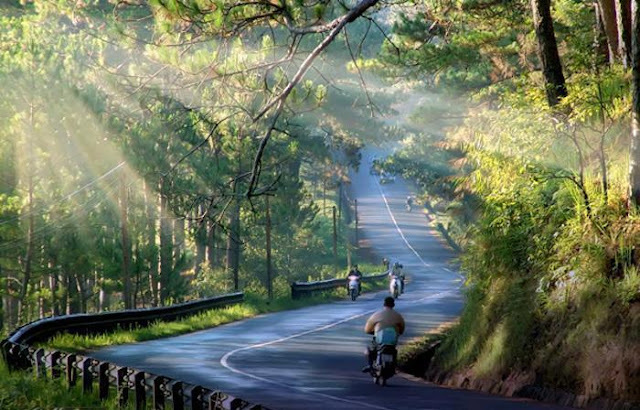 Motorcycle rental service is available at both two points (Da Lat, Phan Thiet). Romantic scenery and cool climate of the city of love will give you the relaxing and peaceful holidays. Coming to the city of flower on occasion of the New Year, you should not forget to visit Van Thanh Flower Village, Valley of Love and Dalat Flower Garden to admire the brilliant. colorful flowers. 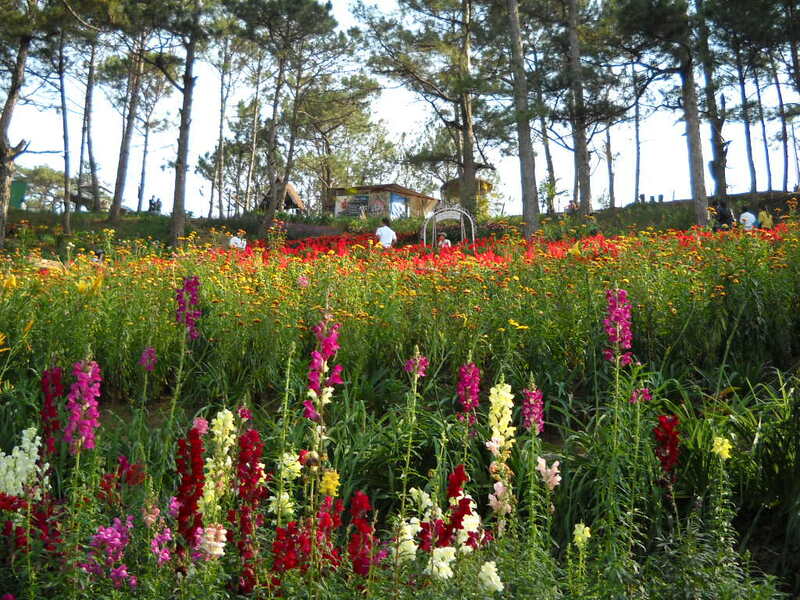 At the same time, you should take part in activities, events taking place in this year’s Da Lat Flower Festival. Da Lat has many impressive structures such as Dalat Railway Station, the oldest station in Indochina with distinctive architecture and unique pyramidal roofs; Palace of Emperor Bao Dai III marking a historical period; Con Ga (Chicken) church- the largest church marking medieval architecture in Dalat; Pedagogical College of Dalat... Coming to these places, you will get unique photos storing the memories of the trip. If you are too familiar with the landmarks, landscapes inside the city, you can travel to the suburban area to find new places. About 20 kilometers from Dalat city, Cu Lan village is hidden behind the immense green forests at the foothill of Langbiang mountain, and has unspoiled, spectacular beauty with traditional stilt houses. It will let you experience many exciting activities such as rock climbing, crossing forest, kite flying, fishing, exploring by Jeep cars. 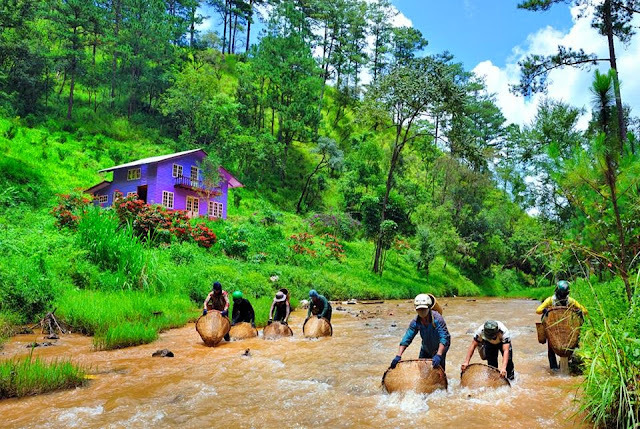 Besides, Thac Voi or seven-floor Datanla waterfall are ideal places for those who love the feeling of adventure. At night, you can sit sipping coffee, watch the mountain city at night, walk around Xuan Huong Lake, stroll the bustling night market and enjoy countless hot delicacies to warm stomach in cold winter days.